A'Lelia Walker (born Lelia McWilliams in Mississippi) moved with her mother, Madam C. J. Walker, to Saint Louis when A'Lelia was two years old. A'Lelia was well-educated though her mother was illiterate; her mother saw to it that A'Lelia attended college, at Knoxville College in Tennessee. As her mother's beauty and hair care business grew, A'Lelia worked with her mother in the business. A'Lelia took charge of the mail order part of the business, working out of Pittsburgh. 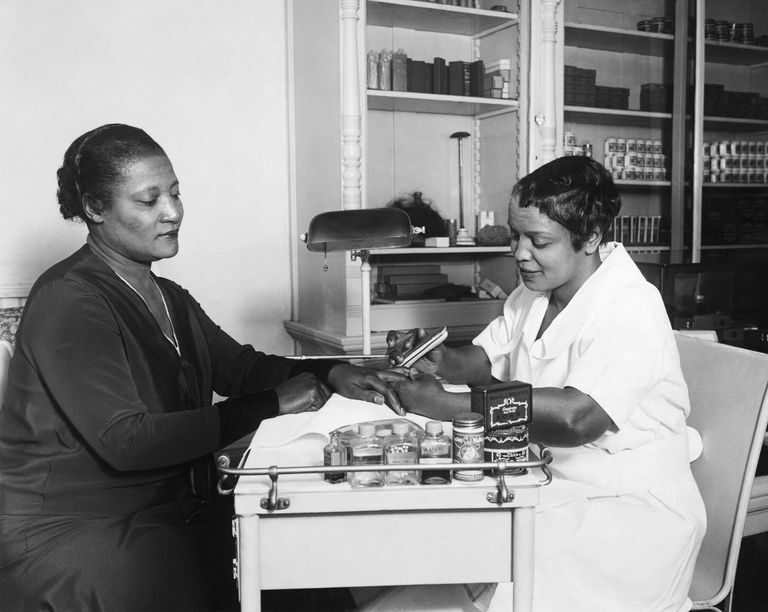 In 1908, mother and daughter set up a beauty school in Pittsburgh to train women in the Walker method of hair processing. The operation was called Lelia College. Madam Walker moved the business headquarters to Indianapolis in 1900. A'Lelia Walker set up a second Lelia College in 1913, this one in New York. After Madam Walker's death, A'Lelia Walker ran the business, becoming president in 1919. She renamed herself about the time of her mother's death. She built the large Walker Building in Indianapolis in 1928. During the Harlem Renaissance, A'Lelia Walker hosted many parties that brought together artists, writers, and intellectuals. She held the parties in her New York townhouse apartment, called the Dark Tower, and at her country villa, Lewaro, originally owned by her mother. Langston Hughes dubbed A'Lelia Walker the "joy goddess" of the Harlem Renaissance for her parties and patronage. The parties ended with the beginning of the Great Depression, and A'Lelia Walker sold the Dark Tower in 1930. The six-foot-tall A'Lelia Walker was married three times and had an adopted daughter, Mae. A'Lelia Walker died in 1931. The eulogy at her funeral was delivered by the Rev. Adam Clayton Powell, Sr. Mary McLeod Bethune also spoke at the funeral. Langston Hughes wrote a poem for the occasion, "To A'Lelia."